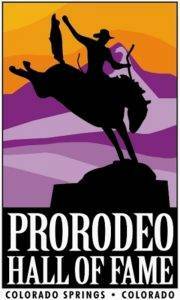 Wanda Harper Bush was multitalented, becoming the most decorated cowgirl in the history of the Women’s Professional Rodeo Association (formerly the Girls Rodeo Association). When the GRA first formed in 1948, Bush was one of the first to sign-up. In fact, she carried card number 14 and later served on the Board of Directors. 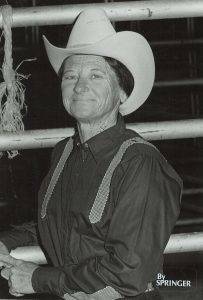 A daughter of Alvin and Gussie Harper, Wanda grew up roping and tying goats to help her father on their ranch. She graduated from goats to calves and was the talk of the arena even to the point of matching men. While in the sports world Billie Jean King is credited with being the first to match the men, it was in fact a Texas Cowgirl and her horse, Eagle, that entered a match roping on six head against a man and Wanda won. It was not a story known far and wide because the humble cowgirl just went in there, took care of business and then moved on. Despite Bush’s desire for a quiet existence, she was a popular figure appearing in Rolling Stone magazine alongside rocker Bruce Springsteen and in the television game show, To Tell the Truth. Wanda married Stanley Bush in 1957 and their daughter, Shanna was born in 1959. Shanna qualified for the NFR in 1984. Wanda passed away at the age of 84 from a heart attack.